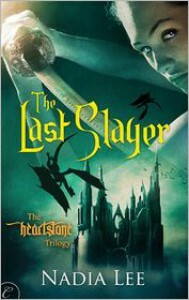 The Last Slayer is a little bit Urban Fantasy, a little bit Paranormal Romance, a little bit Fantasy and a lot of beautiful world building. They would not leave me alone while I read the first part of the book. Every time I sat down to read, she would want to play and I think I lost a lot of the chemistry between Ramiel and Ashera because of all the distractions thrown my way. The second half of the book really drew me into the story. When Ashera arrived at Ramiel's everything just came alive for me. I loved the descriptions of his house, and I found myself really wanting a fairy dragon of my own. Toshi had me laughing out loud a lot. I just loved the world that Ashera discovers in the second part of the book and it has me looking forward to the next book.